This is not your average Lavender soap bar. 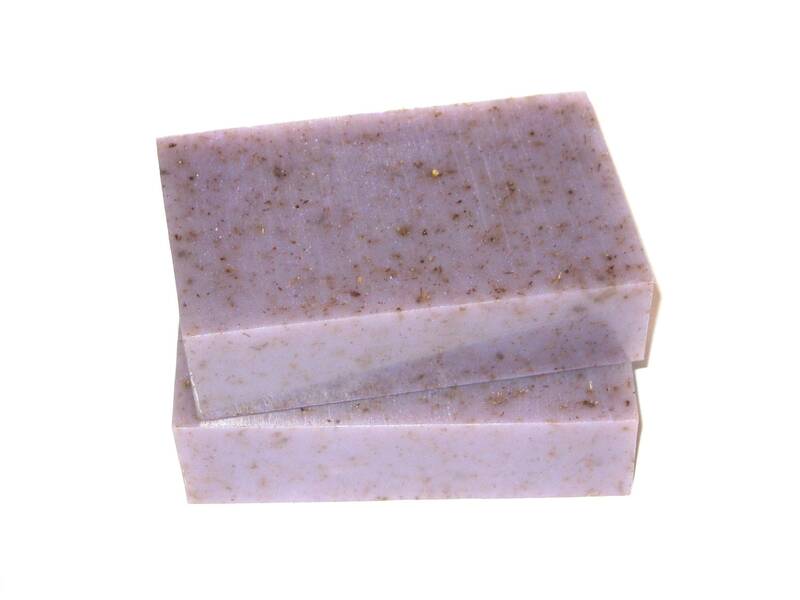 This Soap Bar has ground Lavender flowers & 100% pure Lavender essential oil. This soap bar is also made with an inordinate amount of Rice Bran Oil, so it is just as hydrating and moisturizing as it is cleaning! Lavender is great for those with problem skin like dermatitis, psoriasis, acne, and it also has a calming effect on the nervous system. This soap bar has organic Lavender buds which also gives the skin a slight exfoliation. We just love this lovely Lavender soap bar! INGREDIENTS: Organic Cocos Nucifera Oil, Coconut Milk, Vegetable Glycerin (Coconut Oil Origin), Aqua/Water/Eau, Sodium Hydroxide, Sorbitol, Sorbitan Oleate, Organic Ground Lavender flowers, 100% Pure Lavender essential oil, 100% Pure Lavandin Essential Oil, Rice Bran oil, Propylene Glycol (Biodegradable from Vegetable Glycerin) & Mica. What can I say about my Veritas Family! I absolutely love them and love their products...completely satisfied with everything that I have ever purchased. You will not be disappointed, they treat you genuinely and it means the world to me.